TORONTO -- A call on the federal government to consider turning Canada's largest city into a handgun-free zone will do little to prevent the kind of senseless violence that saw a young woman and girl shot dead in Toronto's Greektown last weekend, gun rights advocates said on Wednesday. "They spent a day slandering gun owners and accusing gun owners of supplying violent offenders with their weapons," said Nicolas Johnson, a gun rights advocate and founder of The Gun Blog. "The people who are shooting up our streets are not the people who will be obeying any gun bans. The only people who will obey a ban are the people we don't need to worry about." Federal Public Safety Minister Ralph Goodale, whose ministry has been working on additional gun control measures for some time, said he would be open to considering Toronto's proposals. Former Toronto city councillor Adam Vaughan, now a Liberal MP, said tackling the availability of firearms is critical to reducing the scourge of gun violence such as seen on the weekend that also left 13 people injured. It's illegal, Vaughan points out, to drive a snowmobile, keep poisonous snakes, ride dirt bikes in parks, or randomly set off fireworks in Toronto -- all because of the dangers posed. "There's no rational reason for guns in cities; they're just too damn dangerous for urban areas," Vaughan said. "What upside is there to the tolerance of guns in cities? All I've seen is people being buried." "For the last 10 years, we've had a steady erosion of gun control in Canada and for four years, we've seen successive increases in gun homicide across the country," said Wendy Cukier, president of the Coalition for Gun Control and a professor at Ryerson University. "When you increase the availability of firearms, you increase the risk they will be misused." Cukier said former prime minister Stephen Harper's Conservative government eased controls with profound effect. Among other things, she and other gun control advocates point to police reports that half of illegal guns they now recover originate with legal Canadian gun owners -- about double the rate of five or six years ago. James (J.R.) Cox, owner of Target Sports Canada, called that figure a "statistical lie." The only thing that has changed, he said, has been the police definition of what counts as a domestically sourced gun as opposed to one smuggled from the United States. Cox, who owns shooting ranges in Calgary and the Toronto area as well as retail outlets in the U.K., said council's call for a ban on handguns is futile. It makes as much sense, he said, as banning car rentals because someone used one to mow down innocent pedestrians. "It will have the same effect as thoughts and prayers will without actually solving anything," Cox said from Calgary. "There is no gun problem in Toronto. There is a crime problem." 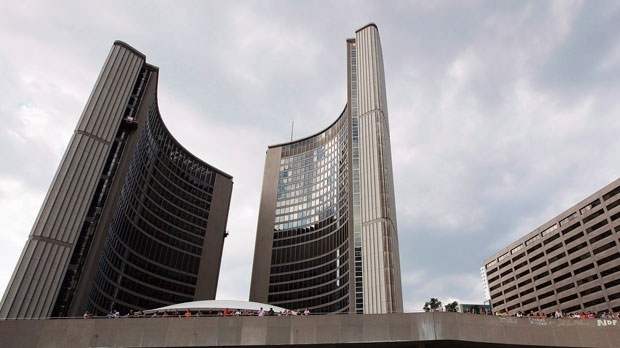 You shouldn't be punishing the rest of Canada because Toronto can't fix its problem, Cox said. Vaughan, however, is unmoved in his desire to see as many guns as possible removed from urban areas such as Toronto, where current restrictions have failed to curb what he called "unacceptable" levels of gun activity. Given the carnage, Vaughan said, bowing to the desires of gun enthusiasts and target shooters simply doesn't cut it. "It's a hobby and not every hobby is tolerated," Vaughan said. "I'm more concerned about the impact (guns) are having on children in my city right now than I am on people who collect them."